Tony Esposito was one of the most dominant goaltenders of the 1970s. He won the Vezina Trophy three times during the decade and was named to the All-Star Team six times. 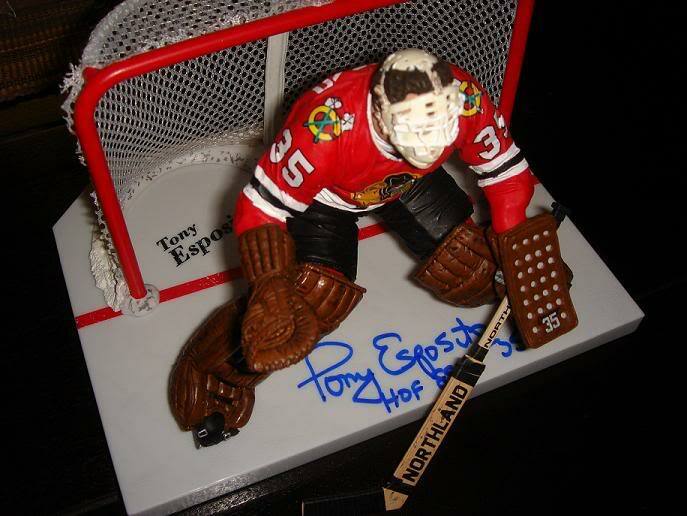 Tony Espositio cards and memorabilia are well respected by vintage hockey collectors. 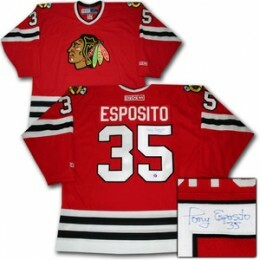 Fans of the Chicago Blackhawks have a particular attachment to Esposito for whom he played the majority of his career. 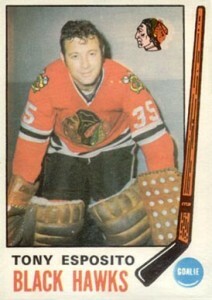 Tony Esposito's rookie card is from the 1969 O-Pee-Chee Hockey set. Esposito's first certified autograph card is from the 1991-92 Future Trends Canada '72 set. The card is not serial numbered and the exact print run is unknown. However, the card is known to be relatively scarce. His first memorabilia cards were issued in 2000-01 by Be A Player and Upper Deck. His game-used memorabilia cards are included in three different 2000-01 BAP products: Memorabilia, BAP Ultimate Memorabilia and Signature Series. Upper Deck produced two memorabilia cards of Esposito in 2000-01 Upper Deck Vintage. 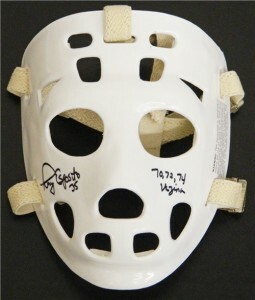 Out of all of his earliest memorabilia cards, of which Esposito has 13, many collectors have a deep admiration for his 2000-01 BAP Ultimate Memorabilia Goalie Memorabilia Autograph card. It is rare, with 50 serial numbered copies in existence. 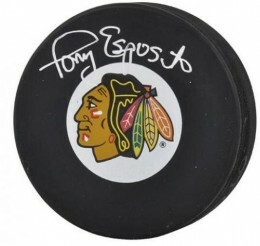 Tony Espositio autographed memorabilia is plentiful. He has remained an ambassador of the game and of the Chicago Blackhawks. He is a routine guest at numerous autograph signings during the year. He has also been a very willing in-person signer over the years. The Tony Esposito rookie card is a key part of the 1969-70 O-Pee-Chee Hockey set. These cards are often found with yellowing borders and soft edges. 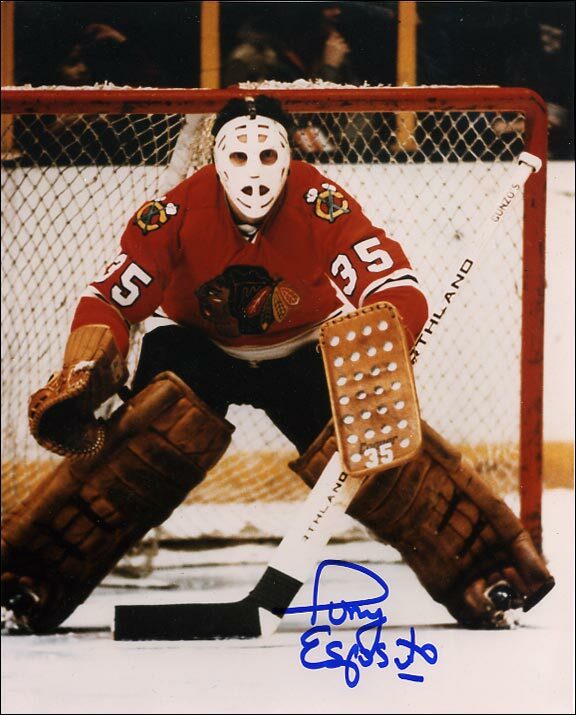 When submitted for professional grading, cards returned in high grade receive a significant premium.Although Topps also released a hockey set in 1969-70, the Blackhawks goalie isn't on the checklist. 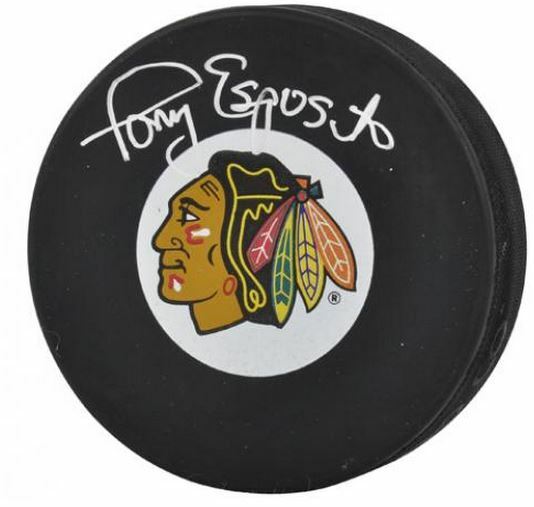 Below you will find an example of what Tony Esposito's authentic signature looks like. This can be used as a first point of reference for determining the legitimacy of autograph memorabilia, but is not a substitute for having your items authenticated by a well-respected professional autograph authentication company. Some of the trusted sources within the sports memorabilia market include the following companies: PSA, JSA, Tristar, and Mounted Memories. Click on any of the images below to view full size photos. 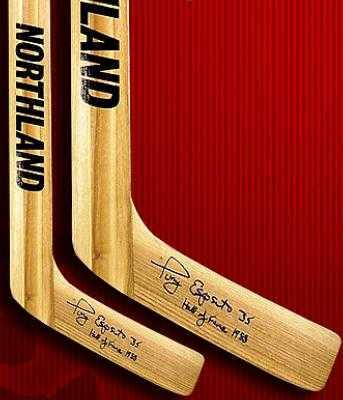 The signature is very clean that displays a pride of penmanship. It is written on an even horizontal plane in a combination of print and cursive. The "T" resembles a "P" with the large loop. The "o" is open and the "n" distinct. The "y" has a tail that drops below the plane and comes back up forming a small triangle shape. The "E" is written like a backwards "3." The remaining letters are printed. The "i" is not dotted and is implied bu it being part of the 't."